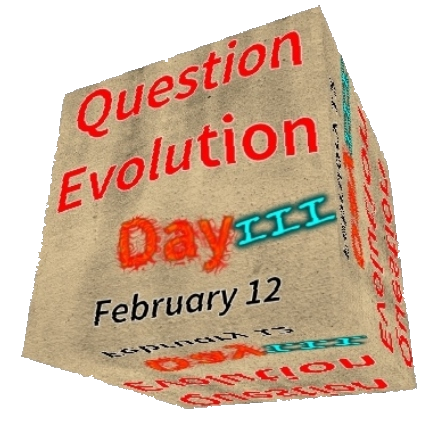 To celebrate the third annual Question Evolution Day, I'm going to keep this post simple. Here is a video that is just under half an hour. It's from Ian Juby's "Genesis Week", and contains information that anti-creationists ignore, ridicule, misrepresent and do whatever they can to keep people from hearing the truth and thinking for themselves. Go ahead, you know you want to watch it!